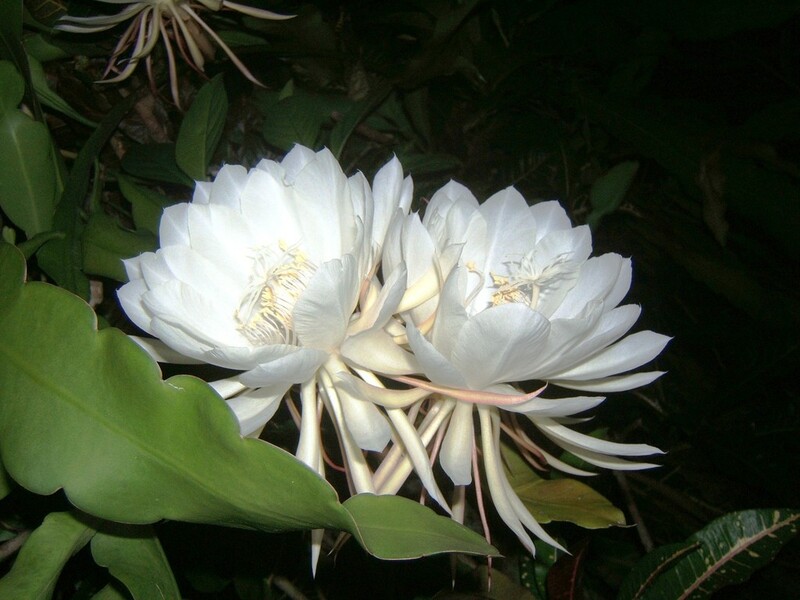 Share the post "Kadupul Or The Queen Of The Night – The Legendary Rare Flower"
Epiphyllum oxypetalum (Dutchman’s pipe, Queen of the night, Kadupul Flower) is a species of cactus and one of the most cultivated species in the genus. This beautiful white-yellow colored rare flower comes from Sri Lanka, where it is called Kadupul Mal or Flower from the Heaven. In India it is called Brahma Kamalam, named after the Hindu god of creation, Lord Brahma. It is also believed that the wishes of People who pray to God while the flower is blooming will be fulfilled. The flower has a rich history in Japan, where it is known as the Gekka Bijin or “Beauty under the Moon”. In Chinese language this flower is used to describe someone who has an impressive but very brief moment of glory, like a “flash in a pan”, since the flower can take a year to bloom and only blooms over a single night. 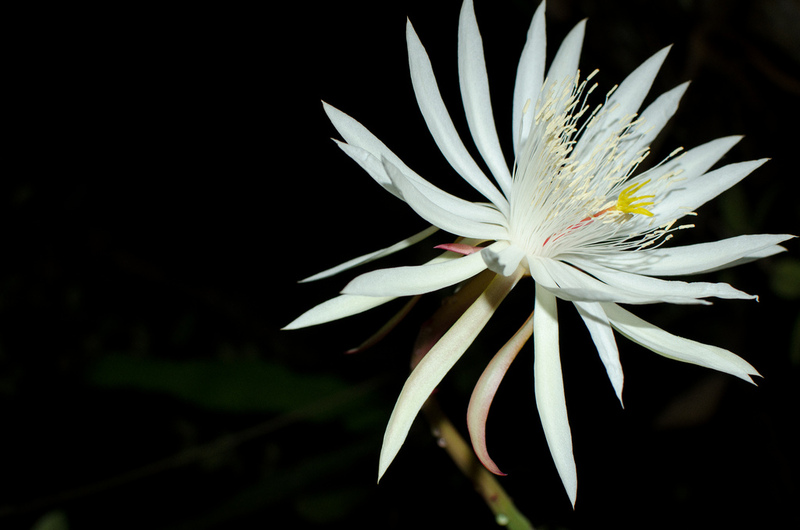 Kadupul Flower can be found from Mexico to Venezuela, as well as Brazil. It also can be found, cultivated in parts of America with warmer temperature such as Texas or California. The Kadupul Flower is a rare plant, and it cannot be picked without causing damage to it. It only blossoms at night and emanates a calming, lovely fragrance. It will only last for hours after being picked and has never made it to the shops, not even online. It is the flower that cannot be bought. 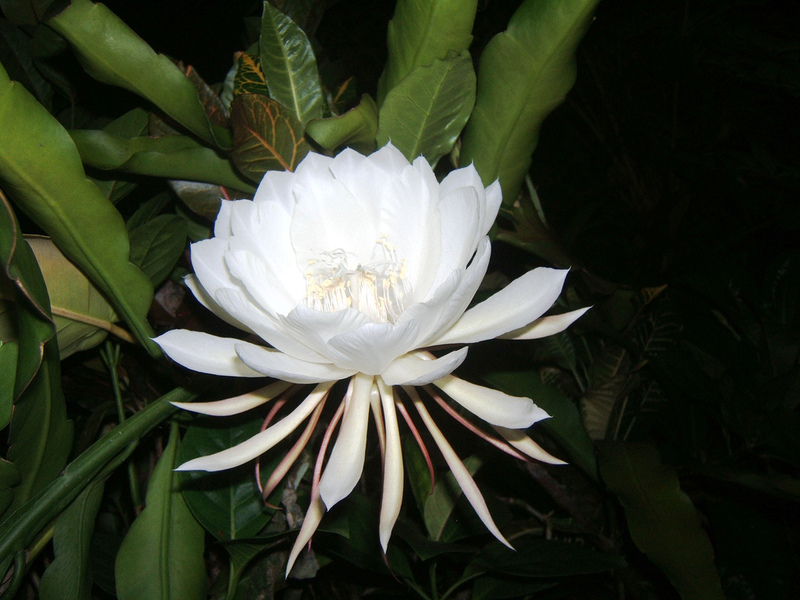 Flower start blooming between 10pm to 11pm and continue to bloom for about two hours. Soon after its full bloom the flower starts to fade and completely wilt before the dawn. This epiphytic plant grows in the forks of large trees, where the decayed particles of bark and moisture collect to give it a rich protective foothold. The plant has leathery leaves, but not as thick as that of the cactus. The leaves are long with scalloped edges. The scallops point downwards. During the Sri Pada season, November to March, a little shoot appears at the point where two scallops meet; the shoot grows to a length of about five inches before it bears a bud, which hangs down on its slender stem. Kadupul Flower is the legendary flower of the Celestial Nagas. It is believed that when these flowers bloom, the Nagas come down from their celestial abodes, to offer them to the Buddha on the Holy Mountain Sri Pada. The strange fragrance, the midnight miracle, and the fact that flowers bloom in the season when people flock to Sri Pada, seem to add authenticity to this belief. There are two types of Kadupul in Sri Lanka which are slightly different. First type of kadupul plant has long leaves (about 2 meters) without a stem and flowers are small (about 15 cm in diameter) with thin petals. Other type of kadupul plant has short leaves (about 30-40 cm) and flowers are bigger with broad petals.